I think the songs where Rick gives us a peek into his past and/or childhood are among my favorites. I remember being very intrigued about his upbringing and his teenage years after hearing Me & Johnny. 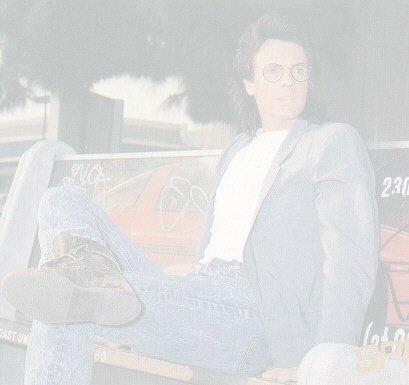 By then, I was a full-fledged Rick Springfield fan...and once I'm into something, I'm totally into it, I've got this hunger for knowledge about what makes it tick, function, work, thrive, whatever it is that has attracted me to it. So it was the same about Rick, I was always wanting to know more. Like a good student, I went back to the beginning, to the history of the subject. However, Rick being....well, Rick, you know as well as I do now that really we only know what he wants us to know. He tells us through his music. "I was raised in the Great White Way, just like all those kids in America" this phrase so far has had many meanings to different people on this list from what I've been reading and again, mine differs a bit. I felt that Rick was talking about all those "kid things" that make being a kid pretty cool, like frisbees, hula hoops, slinkys. All those great inventions that you probably could live without, but who would want to? "And the TV told us to win with no thought of losing" Rick was brought up in the first real generation of tv watchers, where tv dinners were invented and the quality family time of that era was spent watching Milton Berle (or something similar). It was pre-couch potato, when watching tv was a great pastime, a novel thing to do. So it was with these thoughts and the Ozzie & Harriet upbringing (I am speculating) that Rick ventures over to America, and gets a huge dose of reality. "This is the real world, the real town without pity" This whole stanza in the song kind of makes you feel like you're there with him. The beat picks up pace, he's singing the words faster. You can almost feel the desperation he was experiencing. Rick has said this in interviews before, that once he got the record deal, he needed a hit, then once he got the hit, he needed another one. In his personal life, once he met the girl, he wanted to get married. As soon as he got married, HIS biological clock went off and he needed the child. He was always searching for more for fulfillment. The chorus, "World Start Turning...." always meant to me that he had this miracle, his child, finally....let's get the ball rolling. Everything should be falling into place. He's standing on the beach crying to the raging sea (which makes quite the visual, huh?!? ) "Made a promise to myself I'll never get that low again" He's a father, he's got a real responsibility now, someone who is going to depend on him for the rest of his life. It's time to be alive, be strong, and banish thoughts of worthlessness and loneliness. My favorite lines from this song could easily become anyone's mantra. In fact, I think Dr Phil stole them (still trying to prove that one). "Never could settle for where I was too many places I was trying to be. The times I succeeded and the times I failed you know that no one will remember but me" True, so very true. Again, another inspirational lyrical masterpiece from this man that we so adore. Sometimes it saddens me to think so few people know of his talents. Then sometimes I'm happy to think that because there are so few of us, we are the lucky ones. - Michelle P.
I love the way this song starts out, and I love the way he says "America". I don't think Rick's family was necessarily rich, but maybe was considered upper middle class. I remember reading or hearing him say that they were the first on their block to get a tv set, so "whatever they wanted was just a matter of choosing". Must have been really tough when he came over here and it was such a struggle. I like the way he says the word "told"
"Then I woke up".......I like that part, adds drama to the song. "You don't get too many spins" - most people get one chance to make it, you better not blow it when your chance comes around. And lots of people have dreams that never do get realized. I see the miracle as being Liam's birth, although I still don't get the word "almost". I think it's so important to realize that "some things were never meant to be". Sometimes you waste so much time mourning the things that didn't work out, that you totally miss the window that was opened instead. I think the line "made a promise to myself I would never get that low again" really has such a meaning now, knowing how depressed he really got and how low he really was. Rick must know a lot of people who tried to "make it" in the music business and in Hollywood. That has to reinforce in him how lucky he was. I remember reading where Rick ran into Shaun Cassidy somewhere and Shaun made the comment "it's crowded at the bottom". I think this was in the late 70's after Rick's first attempt wasn't quite as successful as he had hoped it would be. But he knew he wasn't done yet. "Precious little matters in the end" - So many of the things we stress out about, are so unimportant in the overall scheme of things. You know that no one will remember but me:"
A lot of his dreams were coming true and he didn't take the time to enjoy them because he was too busy chasing another one. The last two lines are my favorite, we beat ourselves up so much over things that are hardly noticeable to anyone else.